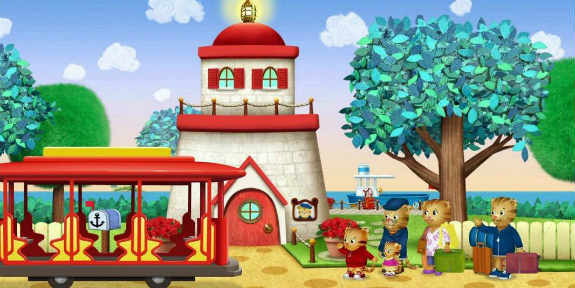 “Daniel Tiger’s Neighborhood”: The Emmy-nominated series, which is a favorite among most preschool parents, debuts a brand new one-hour special titled “Tiger Family Trip” on PBS KIDS this Monday, May 8. The special kicks off a week of new Daniel Tiger programming that includes “The Lemonade Stand/Mad at the Beach” (airing Tuesday, May 9, streaming Friday, May 12) and “Daniel Feels Two Feelings/The Neighborhood Carnival” (airing Thursday, May 11, streaming Friday, May 19). If you have kids between the ages of 2 and 5 years old and aren’t yet familiar with Daniel Tiger, I highly recommend the program, which is an animated series based on “Mister Rogers’ Neighborhood.” A recent study indicated that preschool-aged children who watch “Daniel Tiger” have higher levels of empathy, are better at recognizing emotions and more confident in social situations. In “Tiger Family Trip,” Daniel and his family set off on their first road trip, but Daniel doesn’t know what to expect during the long car ride. Fun and helpful ways to make road trips fun for parents and young children are explored. “The Wizard of Oz”: If you have older children in elementary school, this may be the time to introduce them to the 1939 film classic which Amazon Prime made available to subscribers on May 1. 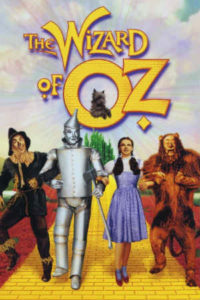 When a tornado tears through Kansas, young Dorothy and her dog Toto are caught up in the storm and somehow find themselves displaced into the land of Oz. While on their way to meet the Wizard and ask for his help getting back home, they meet a scarecrow, a tin man and a cowardly lion who have requests of their own. Click here to read Deacon Steven Greydanus’ positive take on the classic film. “What About Bob?”: If the flying monkeys in Oz are a little too scary for your kids, you might try this 1991 Richard Dreyfuss/Bill Murray comedy, available May 5 on Hulu. Dreyfuss plays a reputable and hardworking psychiatrist who is enjoying a family vacation at the country house…until his most obsessive, neurotic and dependent patient (Murray) follows him there. This PG-rated comedy is just as funny and endearing today as it was twenty-five years ago. Totally holds up. Click here to see Common Sense Media’s take on the film. “Sister Act”: This music-filled 1992 musical comedy, starring Whoopi Goldberg as a lounge singer who seeks refuge in a San Francisco convent after a mob boss puts her on his hit list, is another solid option for family movie night. It comes to Hulu on May 31. Its sequel, “Sister Act 2,” will be available as well. Click here for a Catholic review. When the movie came out, the idea of nuns who could excel at popular music was a novel one. But now, it’s not so unusual. Recently at the Catholic University of America in Washington, D.C., four religious sisters from the Dominican Sisters of Mary, along with a Dominican friar and a Franciscan brother, formed a band called Force of Habit. “The Message of Fatima”: Premiering May 10 on EWTN, just in advance of the Feast Day of Our Lady of Fatima on May 13, and airing monthly through October, the docudrama recalls the apparition of Mary seen by three Portuguese children in 1917. To learn more about this dramatic effort to honor Fatima’s 100th anniversary, click here to see our blog post. Korbi is a former full-time TV blogger, writing for sites such as E! Online and Yahoo!. She is now a full-time mom of twin boys. In her free time, she moonlights as a Marriage, Family & Individual Therapist. 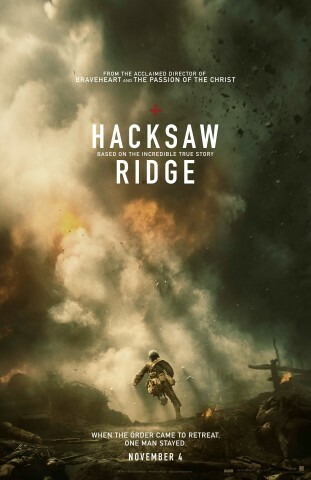 Mel Gibson appears to have found his feet again in Hollywood, and it took his very Catholic movie about a Seventh-Day Adventist World War II hero to do it. In the Academy Awards nominations, released in the early hours of Tuesday, Jan. 24, Gibson’s “Hacksaw Ridge” took nods for best picture, lead actor (Andrew Garfield), best director (Gibson), film editing (John Gilbert), sound editing (Robert Mackenzie, Andy Wright) and sound mixing (Kevin O’Connell, Andy Wright, Robert Mackenzie, Peter Grace). This makes it the third highest-nominated film (tied with “Lion” and “Manchester by the Sea”), behind “La La Land,” which got 14, and “Moonlight and “Arrival,” which both earned eight (click here for the full list of nominations). 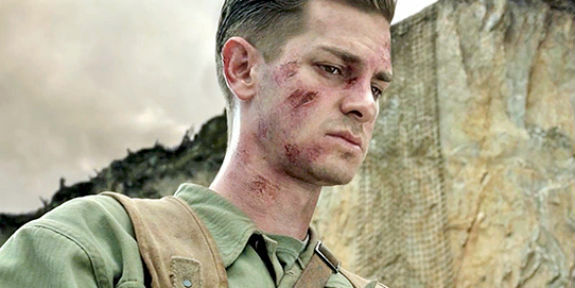 But before you get too excited, “Hacksaw Ridge” also received three Golden Globe nominations — for the film, Gibson and Garfield — but walked away empty-handed. The film also earned one SAG Awards nod, for outstanding performance by a male actor in a leading role (Garfield). The Oscar nod for Gibson marks his first nomination since 1996’s “Braveheart,” which earned him best director and best picture. He did receive acting nominations, for “Ransom” in 1997, and “What Women Want,” in 2001. In the 21st century, Gibson was embroiled in several scandals, including a drunken rant after a DUI bust, the breakup of his marriage and his tempestuous relationship with girlfriend Oksana Grigorieva, with whom he has a daughter. And recently, on Jan. 20, the 60-year-old Gibson welcomed child number nine, a son, Lars Gerard, with girlfriend Rosalind Ross. On the scale of Hollywood misdeeds, this is relatively minor stuff, but it does point up Gibson’s issues with alcohol and his troubled relationship with the Faith. Notable, too, is that “Hacksaw” was an independent film, not a big blockbuster. But its quality was so evident that Hollywood somehow swallowed its animus against Gibson and took notice. In box-office terms, “Hacksaw” ranked 51st for the year in worldwide grosses, with with $157.9M, not that far behind top nomination-getter “La La Land,” at 45, with 174.3M, and above some other nominated films, including “Hidden Figures,” at 80, “Manchester by the Sea,” at 105 and “Lion,” at 146. Actually, none of the nominated films is anything like a box-office blockbuster. Not to rain on the parade of this year’s many highly worthy Oscar nominees, but the fact is, most of the best picture nominees have not been all that widely seen, at least by the standards of mainstream Hollywood blockbusters. As of Tuesday morning, none of the nine films nominated for best picture have crossed the $100 million mark so far at the domestic box office. Three of this year’s best picture nominees — “La La Land,” “Hidden Figures” and “Arrival” — are within striking distance of the $100 million mark domestically. “Arrival” is the top earner at this point with more than $95 million, but it is in a dwindling number of theaters at this point after two months in release, while “La La Land” and “Hidden Figures,” which have fresher legs, should easily chug past $100 million. Despite a lot of buzz and early interest, Martin Scorsese’s “Silence,” about Jesuit missionaries in 17th-century Japan — which also starred Garfield — got only one Academy Award nomination, for cinematography. It’s also performed poorly at the box office. The Oscars will be handed out on Sunday, Feb. 26. Prior to that, the Feb. 8 edition of Family Theater Productions’ monthly Prayer & Pasta event will feature a panel — Head of Production Father David Guffey, C.S.C. ; Catholic movie reviewer Carl Kozlowski; and Sister Nancy Usselman of the Pauline Center for Media Studies — to discuss and analyze the nominees. Fox’s ‘The Exorcist’: Should Your Family Be Watching? As with many things in popular culture having to do with the Church, there’s no easy answer to the question of watching Fox’s supernatural drama “The Exorcist,” airing Fridays at 9 p.m. ET. You’re free to ignore it altogether, of course, but that doesn’t mean young people you care about aren’t seeing it. Inspired by William Peter Blatty’s novel and the 1973 film based on it — and, as of episode five, directly linked to the original film — “The Exorcist” stars Alfonso Herrera as Father Tomas, a young Chicago priest who is drawn into the apparent demonic possession of the teenage daughter of a parishioner (Geena Davis). 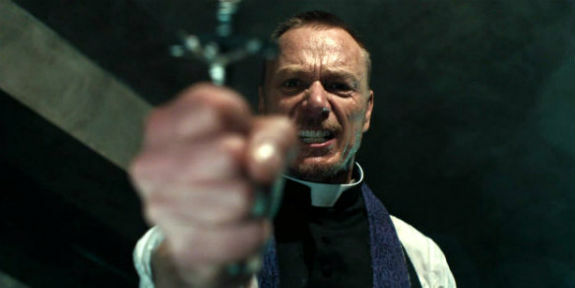 Visions send him to the disgraced Father Marcus (Ben Daniels), who has fought demons before, the last time unsuccessfully. The possession of the girl is but the first salvo in an apparent all-out demonic war in Chicago, which is awaiting the arrival of Pope Sebastian (only seen from the back in posters that say, “He is coming.”). It should be obvious to anyone who’s seen even clips or a trailer from the show that it’s absolutely not for grade-school-age children and probably not for most preteens. Even for older teens and young adults, it raises questions about the Faith and the Church that need to be addressed. First, before you even consider letting the young people in your life watch it, you need to watch it. So much depends up on the person. One individual reads “Harry Potter” or “Lord of the Rings,” and it makes them a Catholic. Another person goes all whooey. It’s never a one-size-fits-all thing. Given the example of the “Harry Potter” thing, people would call me and say, “Should I let my kid read it?” I said, “I give you a rule my father had — read one of the books yourself, and if you approve of it, think it’s fine, then great. Let the kid read it. But if you have a problem with it, then don’t. If you’ve been missing the show, it’s available at Fox’s homepage and on Hulu. First, in a positive sense, the show absolutely avers the existence of supernatural evil and the power of Christ over it. Both Father Tomas and Father Marcus use prayer to battle the demon, and the possessed girl’s family is seen praying and struggling. It’s not every day you see a rosary and hear the “Our Father,” the “Hail Mary,” and “The Blood of Christ compels you!” in a primetime network TV show. So, “The Exorcist” says that evil is real, and that Christ is real, that prayer has power, and that exorcist priests are warriors in the fight for human souls. On the other hand, this is a TV show, it’s a story, and it’s hoping to garner ratings (so far, they’re not abysmal, but they’re not high). So, the writers are going to throw in juicy twists to keep us watching — and it’s here that the Church gets a black eye. Also, Father Marcus is a bit off the rails himself, but the power of faith is still in him. His relationship with the institutional Church, as is Father Tomas’, is strained. People seem to forget there wouldn’t be exorcists if the Church didn’t deem them necessary, but safeguards have to be put in place. You saw some of this push-and-pull in the original “Exorcist” movie, but that was the 1970s. Exorcism is much more in the open than it was a few decades ago, but secular TV producers may not be aware of that. The Church prefers it be a private matter, but the Vatican is hardly pretending possession isn’t real. It may not be the source of most people’s problems, but it’s not dismissed out of hand as superstition. Blatty even says the Vatican invited him to document a real exorcism in Rome. The Vatican says it’s not the specific entity that invited Blatty, but thinks it may just have been a different Catholic group. In tonight’s “Exorcist” episode, though, an over-the-top scene just kicks the Church — or at least some public members of it — into the demonic dumpster. We understand that they’re not good or faithful people, but even so … really? Poorly formed Catholics, anti-Catholics, non-Catholics who know little about the Church, and those who think that Dan Brown novels are real, are ripe to be drawn in by this kind of hyperbolic silliness. But if you can teach your young people to discern that, while the story says some positive things about the power of prayer and faith, it’s also a yarn meant to entertain and titillate, you’re giving them skills that will serve them well as they navigate our confused culture. Today (July 22) is the inaugural Feast of Saint Mary Magdalene, upgraded from a memorial. But there long has been a confusion about who she was, with many assuming she was a reformed prostitute — even though there’s no direct evidence of that. Was Mary Magdalene a prostitute and where in the Bible does it say that? Although it is a popular assumption, the Bible does not say that Mary Magdalene was a prostitute. It says only that Jesus cast out seven devils from her (Mark 16:9). There was a woman who led a “sinful life” who anointed Christ’s feet with oil and her tears, and dried them with her hair. She is not named, and while someone living “a sinful life” might be a prostitute, she might also be an adulteress or a woman living with a man to whom she is not married (or even a fortune teller, etc.). While tradition in the past leaned toward this woman and Mary Magdalene being one and the same, we lack a direct connection (and there are several different Marys in the New Testament). Fiction: It’s often believed that Mary Magdalene repented before Jesus for her “sinful life” by washing his feet with her tears and hair (Luke 7:36-50). In those times, it was believed that a woman who led a “sinful life” was a prostitute or adulterer. Historians argue that Mary Magdalene’s name is never mentioned as the woman who washed Jesus’ feet. All that the verses say is, “A woman in that town who lived a sinful life” learned that Jesus was eating at the Pharisee’s house, so she came there with an alabaster jar of perfume. As she stood behind him at his feet weeping, she began to wet his feet with her tears. Then she wiped them with her hair, kissed them and poured perfume on them.” Since there is no mention of the woman’s name, scholars say they can’t say with certainty that the woman was Mary Magdalene. 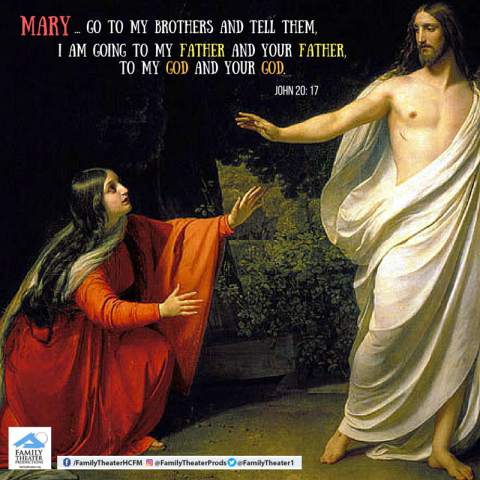 Mary Magdalene is also believed to be the adulterous woman who was saved by Jesus from being stoned to death (John 8:3-11). Again, there’s no mention of the adulterous woman’s name. Why did so many believe Mary Magdalene was a prostitute? The belief that Mary Magdalene was the sinful woman who washed Jesus’ feet gained stronghold in the sixth century, when Pope Gregory the Great declared in one of his sermons that he believed the unnamed woman to be Mary Magdalene. Furthermore, Pope Gregory believed that Mary of Bethany and Mary Magdalene was the same person. It was not until centuries later, in 1969, when the Catholic Church declared that Pope Gregory was mistaken and that Mary Magdalene was not the penitent woman in Luke 7:36-50. Furthermore, the Church clarified that Mary of Bethany and Mary Magdalene were two different people. Nevertheless, the notion that she was a prostitute persists. As recently as the movie “Risen,” which hit theaters in January, Mary Magdalene has been identified as a prostitute — which led to one of the biggest jokes in the film. As the Roman tribune Clavius (Joseph Fiennes) is seeking Mary, he enters a house of ill repute and asks who knows her, and all the men’s hands go up. The notion of a repentant sinner, especially a prostitute, becoming the first witness to the Resurrection is a powerful and romantic one. It makes for a great story, but as with many things that sound good, it may not be true. Regardless of her history, what we know for certain is that Mary Magdalene was the first to proclaim the Good News, and if nothing else, that alone accords her a place of honor in salvation history. What do do know for sure is she was NOT Jesus’ wife, as portrayed in the silly film “The Da Vinci Code.” In 2012, Harvard historian Karen King claimed that a tiny scrap of papyrus was evidence that of the nuptial relationship — leading the Smithsonian Channel to rush out a breathless documentary — but even King now admits it’s probably a fake. King said she would need scientific proof—or a confession—to make a definitive finding of forgery. It’s theoretically possible that the papyrus itself is authentic, she said, even if its provenance story is bogus. But the preponderance of the evidence, she said, now “presses in the direction of forgery. The planned film will follow the life of Mary Magdalene, one of the female followers of Jesus Christ. Rooney Mara will play the title role, while Joaquin Phoenix will portray Jesus. Now, The Wrap is reporting that Chiwetel Ejiofor is in talks to take the role of Peter. In Roman Catholicism, Peter is recognized as the first Pope, making him a major figure in modern western Christianity. One of the better reality shows for families is NBC’s “American Ninja Warrior,” and this season, it’s also a great show for Catholics. 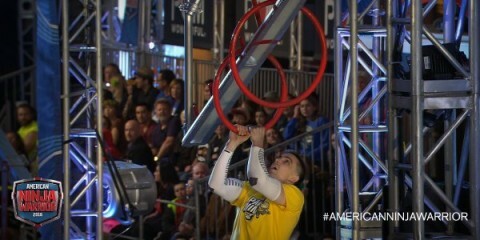 Based on a Japanese format, “ANW” pits incredibly fit and dedicated contestants against an elaborately constructed obstacle course that changes each time they compete on it. If they survive the preliminary rounds without fouling or falling, contestants face more rounds, on their way to the finals course — called Mount Midoriyama — in Las Vegas, and a $1 million prize (only for the winner; everyone else goes home empty-handed). While few people will be in the shape or have the motivation to compete in something as challenging as “ANW,” it teaches lessons about rewards for hard work, courage and perseverance. 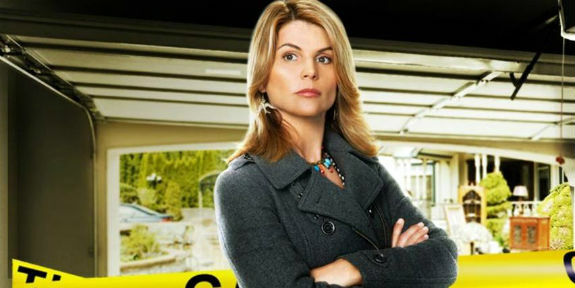 The way the show is edited, it also emphasizes competitors’ personal lives, especially difficulties they overcome, and their connections with friends and family. The show has also shown itself to be faith-friendly, with no effort made to downplay the beliefs of Christian competitors. Cal Physics GYMNAST turned NINJA with an MA in Theology. Dominican by education & Salesian at heart. Works to animate the sleeping giant of Catholic laity. Sean is the Lay Mission Project Director and curriculum team member. Sean received his bachelor’s of arts degree at UC Berkeley, where he studies physics and was on the men’s gymnastics team. After graduation, he spent four years in various Salesian ministerial settings while discerning his vocation. In 2015 Sean completed his Master of Arts in Theology with a Salesian Studies concentration at the Dominican School of Phillosophy & Theology. His Masters thesis analyzed the ecclesiology inherent to documents of the Second Vatican Council, and proposes the Scriptural notion of liturgy as an interpretive lens that elucidates the relationship between formal ritual worship and its integrated expression in everyday life. His exploration led to practical applications geared toward the animation of the faithful, including the Lay Mission Project itself. 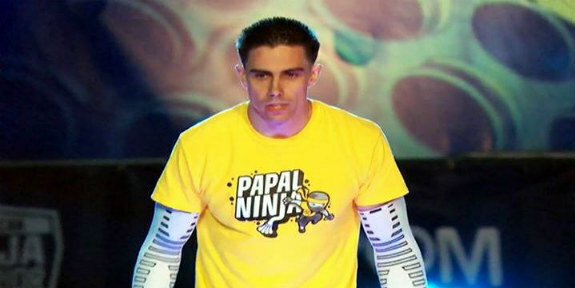 Sean is also known for his participation in the NBC show American Ninja Warrior, where he has taken on the identity of the Papal Ninja, stealthily accomplishing the mission of the One who sent him on a mission to the secular realm. There’s no way to know how far Bryan can go, but for now, he’s honoring the yellow-and-white Vatican colors. Go Papal Ninja!